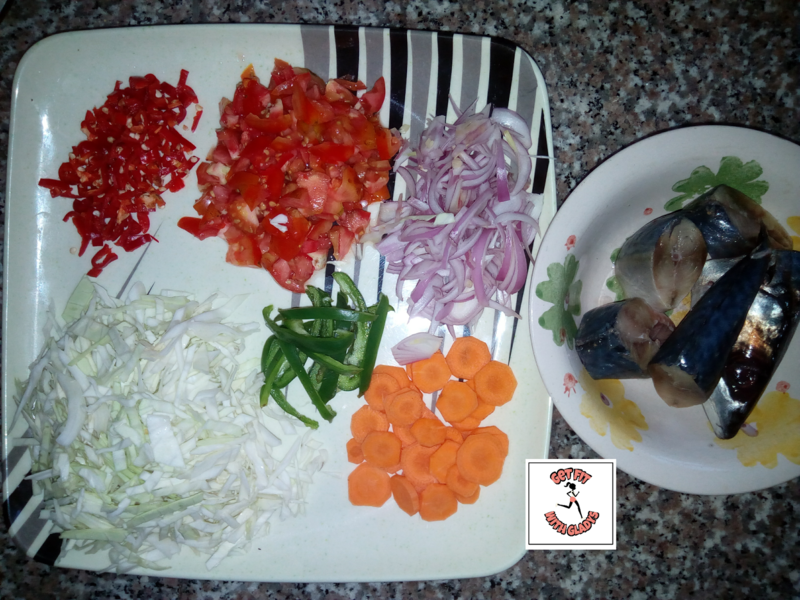 Cabbage soup is packed with lots of health benefits and it has a wide range of nutrients like vitamin E, vitamin K and vitamin C. Cabbage on its own keeps the skin, eyes and hair healthy. It is also used in the treatment if ulcer and varicose veins. 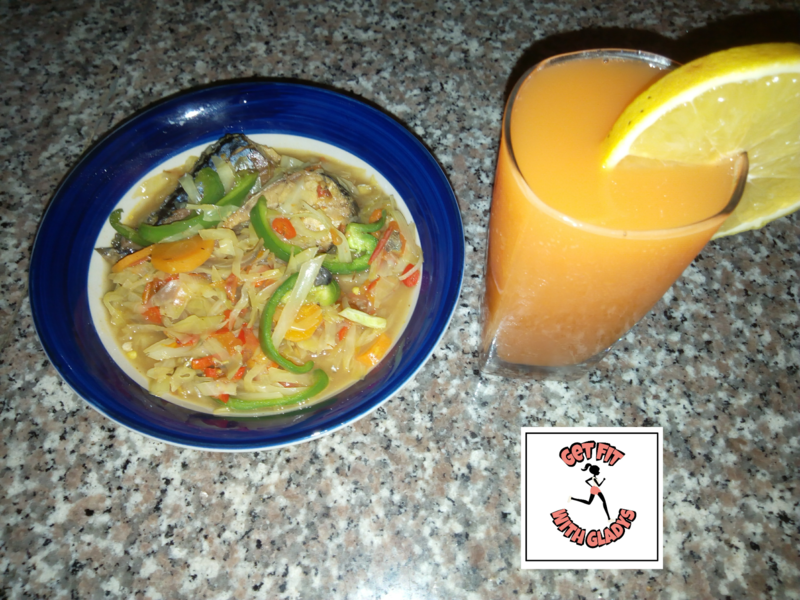 Cabbage soup is super healthy, delicious, easy to cook and it also budget friendly. Start by slicing all the vegetables. Clean fish and put in a pot. Season with thyme, curry, salt and preferred seasoning to taste. Allow fish to cook until it's tender. Add chopped carrot and allow to cook for two minutes. Add tomatoes, red pepper, onions, cabbage and allow to cook for 4-5 minutes. At this stage all the vegetables are well cooked. Turn off the heat, add your green pepper, cover and allow the steam to cook the green pepper for 2 minutes. 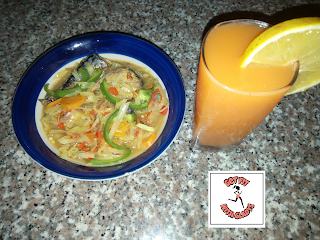 My cabbage soup is served with a glass of carrot and orange juice which I made using a juicer. P.S: if you don't have a juicer you can make use of a blender. Squeeze orange and pour the juice in the blender to Serve as a base then add chopped carrots, blend and sieve. what other protein can i use? 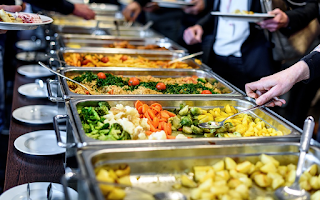 Aside fish you can use chicken, beef or any available protein you have. Thanks for viewing my blog. Nice one...Cabbage. I call mine vegetable sauce, similar though, but very delicious and healthy, only that i had little Olive oil or Veg oil it. 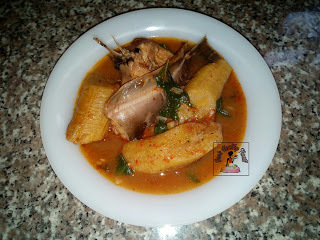 It can be use to eat rice, plaintain, yam etc. Thank you so much and thanks for viewing.